Unique sound sampled from a vintage Soviet Russian organ: borked, damaged and dangerous! • Body Speaker for full-range warmth, blendable broken Flight Case Speakers to add extra gritty nastiness • Upper registers can be switched between classic octave behaviour and harmonic intervals of Fifth and Major Third, to introduce a Vox-style tonality to the sound • Retrofitted switchable envelope control allows sound sculpture if you wish, or vintage organ voicing if you don’t • Vintage Tremolo affects both pitch and amplitude for very organic variation in the sound • You will never hear a tone like this anywhere else. Period. 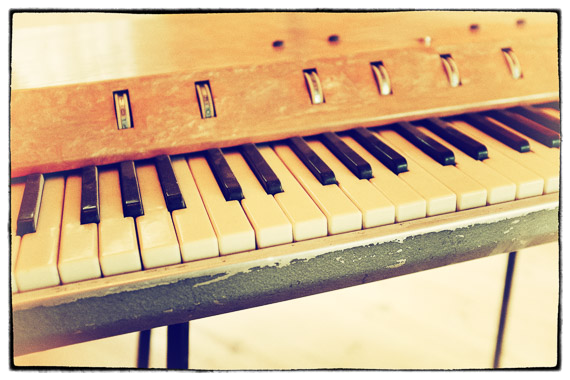 Bringing with it a very strong smell of cigars and hot transformers, it’s a Russian transistor-based electric organ dating from half a century ago – back when Cold War tensions were running high (and Soviet dissidents were running from armed men with dogs). The rather fetching pearlescent body came in various eyecatching colours – ours is a natty salmon pink, though we’ve given you a turquoise version in the UI – and is dominated by a bank of unmarked roller dials which do slightly inscrutable things: some vary the footages, one adds vibrato, one alters the balance between the sides of the keyboard, one signals the Kremlin via shortwave to report political unsoundness, etc. Best of all, though, it comes in a flightcase into which are built four speakers, turning the case into a crude but effective portable sound-system to boost the output from the keyboard’s own built-in 8-inch speaker. We dithered about whether to buy the flightcase since it would have to be shipped from the former Soviet Union, and it weighed a ton (as does the steel-framed keyboard itself). We’re so glad we bothered. The body speaker is fantastically warm, compressed and slightly overdriven, but the flightcase speakers are just insane. They’re clearly basically broken – shredded by too many elbow glissandos is our guess, or maybe someone just fell into them at some point – and the sound they make is, in Mongo’s words, “utterly borked”. 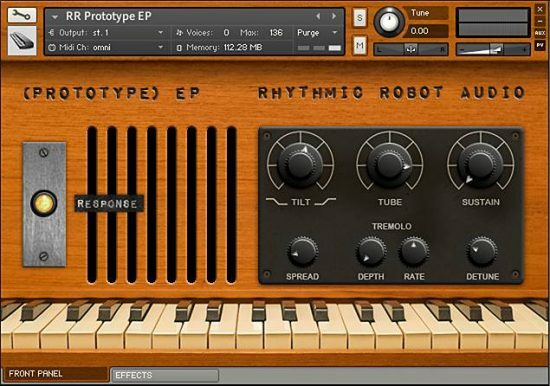 Played through the in-body speaker, the Junost sounds recognisably like an organ (although one in which “number of octave synthesis registers with smooth adjustment of the proportion of mixing”, as the Museum of Soviet Synthesisers puts it). Played through the flightcase set, it sounds like Armageddon. We’ve bolted on some further useful controls, our favourite of which is a simple switch to transpose the two high 4′ and 2′ footages to harmonic intervals (a fifth and a major third) instead of their basic octaves, which instantly gives the machine more of a Voxy tone. You can get a fantastic early rock / punk organ sound by engaging this and then gritting things up to taste with the Flightcase knobs. A proper ADSR can be engaged (opening up lots of soundscape / pad / strange key sound territories), the output can be further overdriven (as if that were necessary…) and a Tilt EQ gives easy control over the general tone. This can be very useful for taking the edge off sounds which favour the Flightcase speakers, or for adding definition to sounds that don’t. The Junost 70 was at its heart a simple instrument trying to do a simple job, except that history has given it a good kicking. Luckily the Junost fought back, and won – resulting in a tone that we can’t get enough of. To our ears this thing just sounds subversive and counter-culture and brilliant – it practically leaks Rock attitude (along with all that residual nicotine). If you’re after a sound that defies convention, that gets its Red Army boots on and kicks seven shades out of every other organ out there, this is the one for you. раскачать, comrades! Soviet sonic insanity. 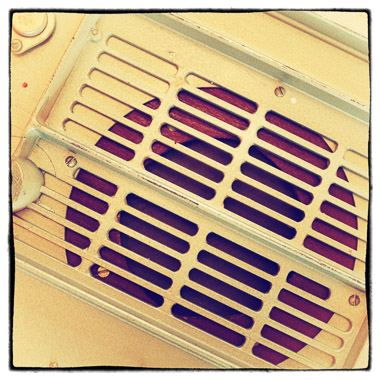 The flightcase speakers are positively nuts…. Use anywhere you would normally used a good grindy B3 for absolutely stunning results. 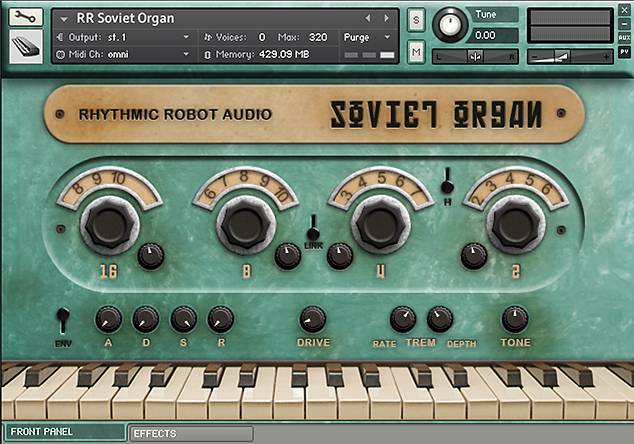 Soviet Organ is my first Rythmic Robot purchase, and it certainly won’t be my last! This thing is really amazing, the samples are totally awesome. It’s very simple to use, given the fact there are few parameters, but the range of sounds that it can produce is just incredible. 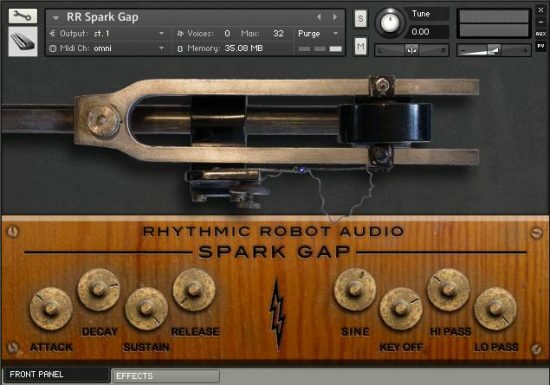 Once you try it, you won’t be able to make music without it! 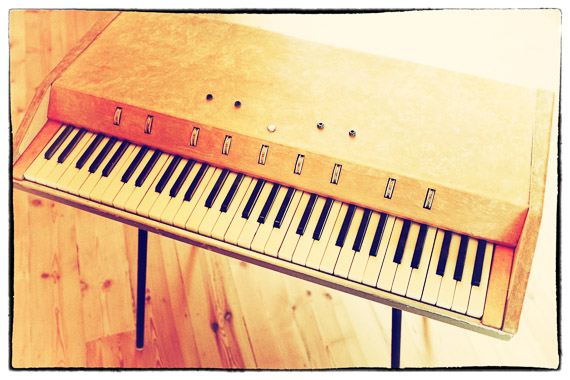 I was using the Arturia Farfisa emulation for cheezy organ. No more. This honker is so full of character that it acts like the Farfisa with palsy and a head cold. Can hardly believe it’s digital. Use with LEL beat machine to produce really gritty music – this is a beast, i personally load up 2 patches at once for even more raw sound. 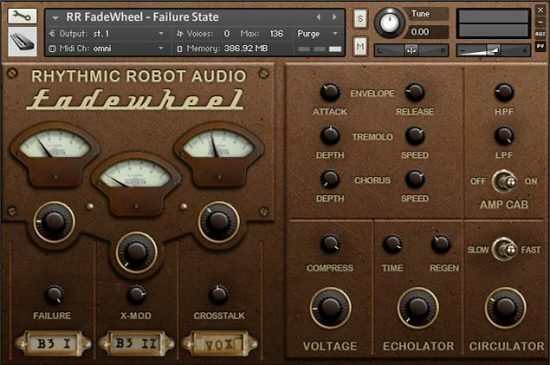 It is also often nice when used with Kontakt’s convolution reverb engine (on outputs) this makes things sound more epic – like a KGB dark overlord. 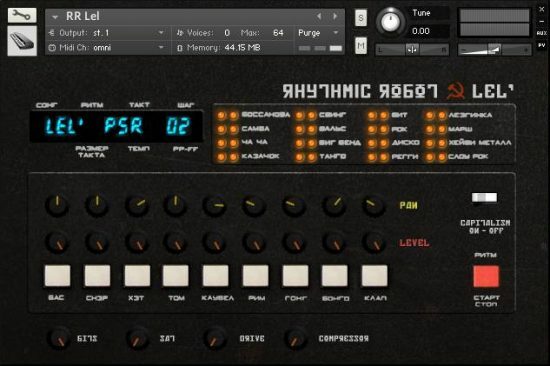 I like the honest simplicity of the GUI – no drawbars no confusing LFO’s just ASDR tremolo and some basic organ stops (16 8 4 2) to change the timbre. Very easy to use and very loud (on my monitors anyway)!! I love this dirty, nasty, B3ish little monster. 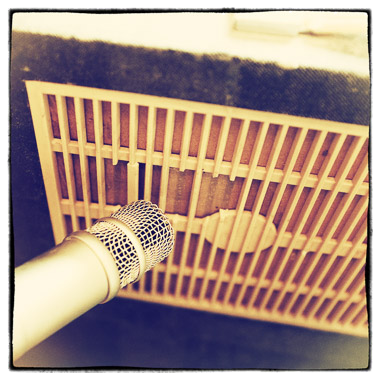 I use it in places where I might normally use a Hammond B3. Similar, but very different in a fun way.